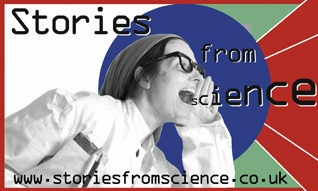 Welcome to the latest episodes of Stories from Science, a Podcast in which we talk to real people working in science and technology – and ask them what we do all day. As job titles go, you’d need to go a long way to beat ‘Head of Explosions’, but then Renee Watson of The Curiosity Box has travelled a long way, from the river banks of rural Australia to leading a self-styled Curiosity Revolution to disrupt education, empower families and convince the world that science isn’t just for them, but holds the keys to a better life and a better world. What could be more familiar than the humble electric battery? They’ve been around for years, factories knock them out regular as clockwork and we’re all familiar with them, aren’t we? Think again. With an explosion in demand for electric vehicles and grid storage, our demand for batteries is growing rapidly. But so are the challenges of making them better, more reliable, longer lasting – and greener. In this inspirational episode of Stories from Science, we talk to Carolyn Hicks and Christophe Birkl of Brill Power who are spearheading a revolution in battery technology that just may be the key to our future economic prosperity. Vive la (battery) révolution! There is a lot of science in winemaking, as we discovered in this episode in conversation with Richard and Sian Liwicki of Bothy Vineyard. In our quest to uncover the Stories from Science in everyday life, it turns out that a vineyard offers a slice of scientific heaven in a special corner of the Oxfordshire countryside. We discover the freakishly unique nature of the geology, the realities of growing vines in a climate-changing countryside, why moles are our friends – and what the future might hold for winemaking in England. The ATOM Festival of Science and Technology takes place every year in the town of Abingdon-on-Thames. But what is the point of science festivals, and what can they achieve? In this special edition of Stories from Science, we go behind the scenes of the ATOM Festival, and talk to science communicators, speakers, organisers and the audience to find out: can a science festival change the world? Spoiler alert: it definitely can, and in ways that are unique, powerful and surprising. It’s no exaggeration to say that we need hundreds of thousands of new scientists and engineers in the coming years, but in a time of huge educational challenges, how exactly do you inspire and ‘hook’ young children on science, and give them the hunger and resilience to succeed in STEM subjects for the long term? We spoke to Fran Long, a truly inspirational Primary Science Specialist, who turns dry curriculum science topics into interactive experiences to wow pupils within the constraints of daily school life. And it all grew out of a desire to motivate children to read more for pleasure. Intrigued? This is a genuinely surprising and inspiring interview – no surprise for someone who won the UK’s Primary Science Teacher Award earlier this year. Professor Stephen Bennington went from one of the world’s biggest research facilities to the world of science and tech spin-outs. In 2011 he founded hydrogen storage company Cella Energy, and his experiences of the highs and lows on the cutting edge of science commercialisation makes him a compelling – and candid – guide in answering the billion dollar question: how do you make money from science? In this episode we keep it local and head down the road to the Yang Science Centre, home of the Abingdon Science Partnership (ASP). It’s an almost-unique science outreach organisation which may just offer a template for how to bring together educators, students, researchers and businesspeople – and unlock resources and inspiration for STEM – for everyone. The ASP is run by Jeremy Thomas and Megan Milarski, and we took time out of their (very) busy (but definitely not typical) day to understand what they – and the Partnership – do. In this episode, we travel to the hottest place in the Solar System. No, not the Sun, but somewhere right on our doorstep. The Culham Centre for Fusion Energy is home to JET, the world’s largest fusion research facility which regularly generates temperatures of 100 million degrees centigrade. We speak to Zoltan Kollo and Sarah Medley, two members of the tritium engineering team who help prepare and place the hydrogen fuel at the heart of this Sun right here on Earth. To gain access to all episodes, exclusive content, and help shape the future of Stories from Science – click here.